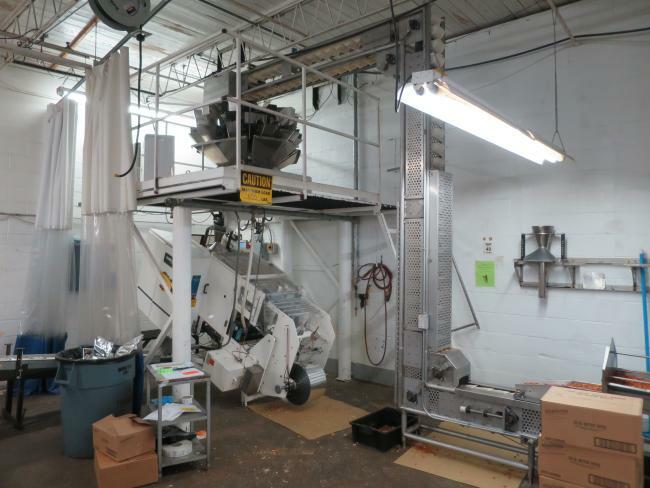 Hayssen / Ishida packaging line complete system for sale!!! Hayssen / Ishida packaging line complete system for sale!!! This complete system includes a Hayssen 8-12 bagger tilted frame for brittle and fragile products. If you are packaging easy to break types of products thi ssi the systme for you. This systme alos includes a Ishida CCW-NZ-210-1S-PB ten head scale. It also includes a Nelson Metal Technologies Bucket Elevator. The discharge length is 102" Discharge height is 12' and the infeed is 36" long. The buckets are 6" wide x 5" in length. If you need a complete system call today! This will not last long!